One of the games included in the bundle. Today the Humble Bundle for Android 4 was announced, containing 6 games that could be played on your Android phone, Mac, PC, or Linux machine. Contained in the bundle are a few previous Humble Bundle games, including Crayon Physics Deluxe and Superbrothers: Sword and Sorcery EP. All together, the items included in the bundle would cost $119 if you were to buy them all separately. However, the Humble Bundle lets you set your own price. 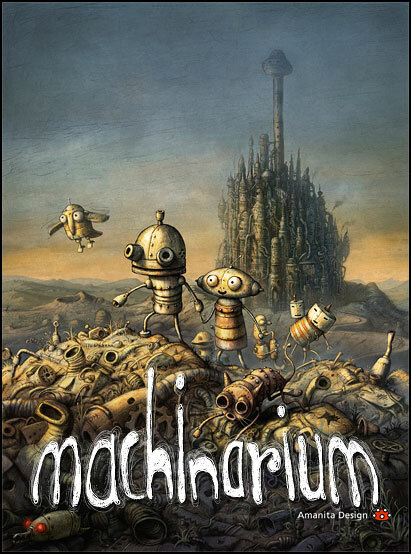 If you want the game Machinarium however, you’ll have to pay more than the average, which is at time of post $5.93. So far, the bundle has sold more than 50,000 units and raised over $300,000.